Currency: The Bahamian dollar is held on par with the US dollar and both are accepted interchangeably throughout the islands. 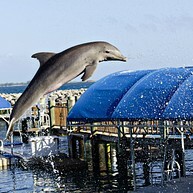 Dolphin Encounters, located on private Blue Lagoon Island, is one of the most intriguing and memorable tours available. Visit the world famous dolphins of Dolphin Encounters for a once-in-a-lifetime experience. The boat departure dock/check-in area is located at the Paradise Island Ferry Terminal. Enjoy the day snorkeling and kayaking, soaking up the sun on the private beach or in a hammock. When it's all said and done, your experience on Sandy Toe is sure to be a memorable one. The private island destination offers guided snorkeling tours, all you can eat Bahamian buffets, unbeatable vistas, beach bars, a private beach, hammock garden, nature trails, kayaking and inner tube rentals, and professional beach massages. Get a breathtaking view of the picturesque scenery and feed the iguanas on one of the islands with grapes when going on this adventurous powerboat trip. John Watling's Distillery is a bit off the beaten path, but a most for rum-lovers. 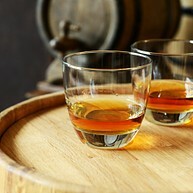 Watch the process of rum making and sample the different types of rum. This lovely little Zoo hosts a variety of animals. The flamingo show is wonderful and you also get to feed the birds and some of the animals. At the Heritage Museum, you get a captivating insight into the history of the island and it's people as well as original artifacts. 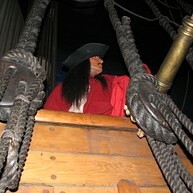 Each part of the museum has an own theme ranging from history of the island to pirate era. The National Art Gallery of The Bahamas is the premier arts institution in The Bahamas. This gallery is excellently curated and definitely worthy of a visit. Four decades of Bahamian Art are exhibited, from 1973, the year of Bahamian Independence, to the present. Nassau was the base for the greatest concentration of pirates during the 17th century. The museum, located in downtown Nassau, is fun, informative, cleverly put together, and gives a great portrayal of a pirate's life. Board a replica of the pirate ship "Revenge" and let the adventures begin! Spend a wonderful morning or afternoon sailing, sunning, and snorkeling out to one of the nearby reefs along Spruce Cay or Athol Island. 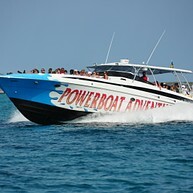 Complimentary water and snacks are available throughout the tour, while rum punch and a full bar are available after snorkeling. En route back to shore, relax with a drink, listen to Bahamian music, and enjoy sailing aboard a state-of-the-art catamaran. 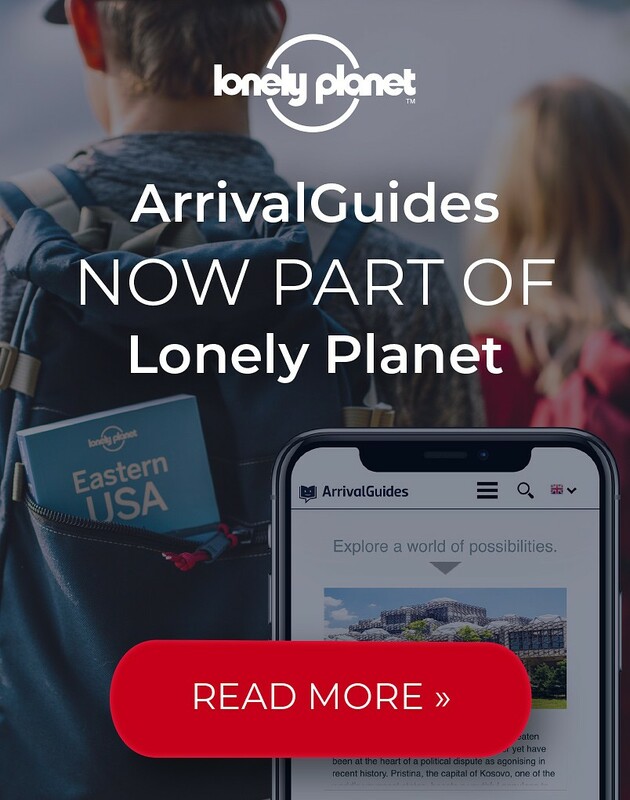 This 3–3 1/2 hour tour departs daily from either the Ferry Terminal or Cruise Ship Dock. Tru Bahamian Food Tours offer a unique guided tasting and cultural walking tour that takes you on a 3-hour culinary adventure. Authentic Bahamian cuisine still remains largely unknown and often times inaccessible to the islands’ annual visitors. 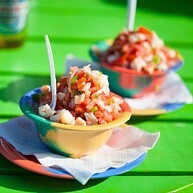 Tru Bahamian Food Tours brings the authenticity of island flavor and specialties to you. Despite its small stature, New Providence island boasts the second-most Bahamian, as well as Caribbean specialty birds, after Abaco. 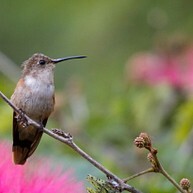 Many of the sites are accessible only by vehicle, so consider utilizing a birding guide. While the Bahama Woodstar is the only endemic species present on the island, there are still a wealth of other colorful, exotic birds to see. Look to the Cuban Grassquit and the Caribbean Dove as examples. The Queen's Staircase, located in the proximity of Fort Fincastle and the Water Tower, was built to honor Queen Victoria and carved by hand. Walk up the impressive stairs lying in the shade and escape the heat. The Clifton Heritage National Park offers a series of educational programs that utilize archival documents, photographs, craft, songs, dramatizations, dance, story telling, audio and visual presentations, field trips, electronic lessons, readings, and site tours. One of the island's best kept secrets, the Park combines beautiful nature trails, historical ruins, amazing beaches, and guided tours. Built in 1841, Christ Church Cathedral is the fifth church to occupy the location. Tablets trace the trials Nassau citizens endured over the centuries years ago, and the sanctuary's back also features baptismal font. The Lord Proprietors built the original building in 1670, making it the first church built in The Islands Of The Bahamas. 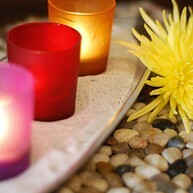 Wellness Spa Bahamas brings the healing of Therapeutic Massage to you. Treat yourself well and enhance your health mentally, physically, and emotionally. They encourage total relaxation, improving blood flow and reducing chronic pain for elevated health.